November is Alzheimer's Disease Awareness Month. Below are picks chosen by PRX editorial staff. 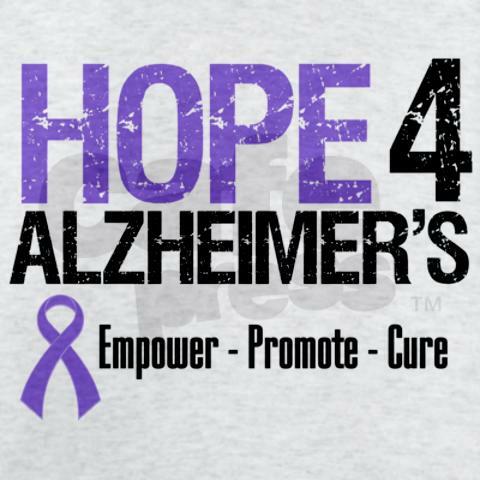 You can see all potential pieces for Alzheimer's Disease Awareness Month by using our search. In the final part of our five-part series: Alzheimer's disease is already taking a financial toll on millions of American families; they provide care at home for most Alzheimer's sufferers. With experts predicting a "tsunami" of Alzheimer's cases in the next few decades as the population ages, how will families cope? And how are elder services providers - and the rest of the health care system, preparing? Alzheimer’s is the incurable disease that destroys memory, speech and function. Scientists say the number of Americans with Alzheimer's may triple by the year 2050. In this hour-long special report, we'll report on the latest efforts to find treatment, improve diagnosis and adequately fund research and caregiving for the millions yet to be afflicted. It's predicted to be the defining disease of the baby boom generation - Alzheimer’s - the incurable brain disorder that destroys memory and personality, as well as the ability to speak and function. It's already the sixth leading cause of death in the U.S. According to the Alzheimer’s Association, one in eight Americans over the age of sixty-five already has the disease; over the age of eighty-five, nearly one in two. As seventy-eight million baby boomers continue to age, the number of people with Alzheimer's may triple by 2050, and experts warn that without effective treatment, this explosion of cases could become the nation's greatest health care crisis. In this hour-long special report, “Fade To Darkness: The Age Of Alzheimer’s,” we'll meet Alzheimer's patients and their families. We'll also look at the latest research into treatment, diagnosis and prevention, and we'll explore whether sufficient funding and planning are in place to provide care for what experts are calling a "tsunami" of Alzheimer's cases to come in the next few decades. A show about love, family and dementia, in two parts. First, a documentary, second, a followup interview. 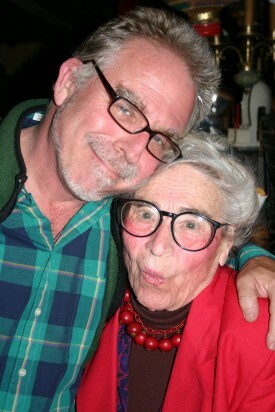 This week’s show is about love, family and dementia…in two parts. Part one features a story I made in 2008 called After the Forgetting, about one Vermont family’s experience living with an elderly mother’s progressive dementia. In the second half of the show, I interview one of the story’s main characters, Greg Sharrow, about what’s changed, and what he’s learned, in the five years since we made the story. A daughter visits with her Irish father and while he doesn't remember her, they share a favorite old Irish song. As a father with Alzheimer's forgets his youngest daughter, there is still intimacy and remembering together over his favorite song... Danny Boy. An intimate portrait of a visit by a daughter to her father in an Alzheimer's nursing home. While he can't remember her name, he remembers his favorite song from years gone by. This program from IEEE Spectrum Radio looks at some of the technological advances in medical inventions to enhance and extend our lives. The program looks at some of the technological advances in medical inventions to enhance and extend life including: At Virginia Tech, a team of engineers is developing a revolutionary cancer treatment device inspired by the mosquito. In Southern California, researchers have found a way to grow an unusual marine snail that may play a major role in the vaccines of the future. In Austin, Texas, scientists are making artificial materials that will repair damaged nerves. At Pittsburgh Medical Center, a brain-computer interface to help spinal cord patients move again. In New York City¿s Mount Sinai Hospital, exoskeletons are being used to help paralyzed people stand up and walk again. At MIT engineers are making chips to compress years of searching for potential Alzheimer's drugs into just months. At the University of California, Irvine, a device that takes the drudgery out of stroke rehabilitation exercises.